Argon gas filled windows are one of the most common fills available today. They are used by many manufacturers and in between all types of window glass – from standard rectangles to custom window shapes of any kind. Argon is one of the most popular gasses used to fill the space between window panes. An excellent insulator, it can increase the energy efficiency of any window. Combined with a coating to improve energy efficiency, they help reduce the home’s energy costs. While other gasses may be available, the cost and insulating qualities have made argon a leader in the industry. Argon is inexpensive – one of the principal reasons that it is now the default window choice for many builders and homeowners. Homeowners should ask their about the options available and what they recommend for a glass fill. 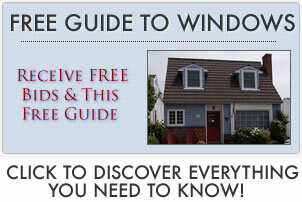 Explore vinyl window pricing information. Argon gas filled windows help to prevent the loss of heated or cooled air to the outside. However, they do not block ultraviolet light or radiation. Because of this, a low-e coating is often added to argon gas filled windows, increasing the energy efficiency and helping to prevent fading of your furnishings and other possessions. Thermal curtains and blinds can provide even greater protection and energy efficiency. The more options available, the easier it is to customize solutions to the preferences of the homeowner. As energy efficiency becomes an every day concern, it becomes easier to find argon fills and other features to keep your energy costs low. In fact, it is sometimes difficult to find items without new energy efficiency features. The increased costs are often more than paid for by the energy savings over time. An argon gas filled window with a low-e coating can reduce energy bills significantly and immediately. Discover more on window ratings.